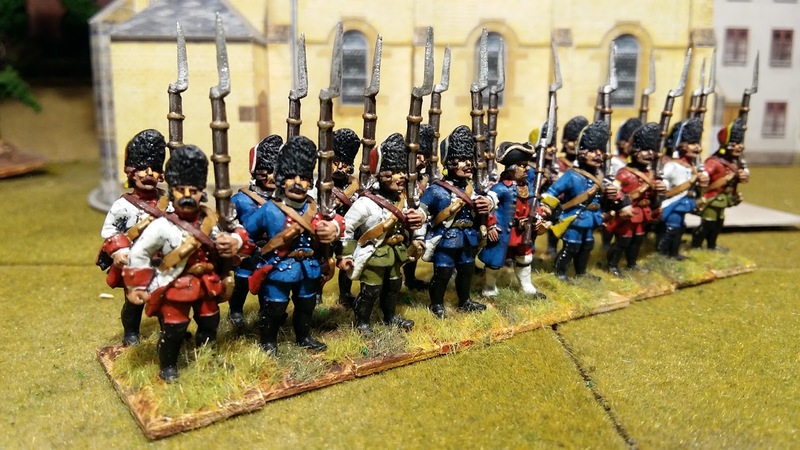 Here is the converged grenadier battalion composed of two figures from each of the regiments I have painted. They can either be converged or returned to their parent battalions. 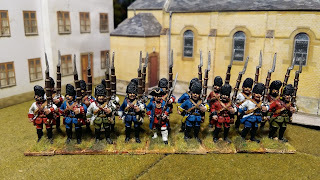 They look superb, beautiful uniform and paint job!